Grand claims about the PNG LNG project, which runs through Papua New Guinea Highlands including this facility in Hela, have never eventuated, according to a new report. 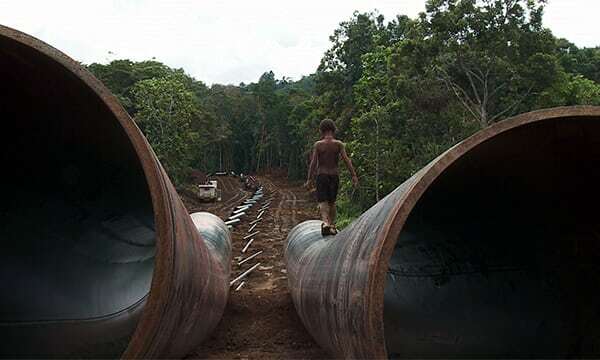 When the US$19 billion liquefied natural gas project was first pitched in Papua New Guinea, extravagant claims and grand promises were made about how it would transform the country's economy. The report, "Double or Nothing: The Broken Economic Promises of the PNG LNG Project," was compiled by Jubilee Australia, a development research centre. None of this happened. Instead, Papua New Guinea's economy grew by only 10 percent, household incomes have fallen by 6 percent, and employment has fallen by 27 percent. One of the authors, former PNG Treasury official Paul Flanagan, said that on the projections of rapid growth and an influx of easy money, PNG's government went on a spending spree from 2013-2015, which has since crippled the economy. "The modelling that was behind those estimates for such massive increases in the economy - that's poor modelling. It's a model that's still used in PNG unfortunately, the PNG Gem," he said. "It's not very transparent, it's a black box. It produces numbers that just aren't realistic and we have seen that in subsequent plans also. " Mr Flanagan said it was yet another example of PNG falling prey to the so-called "resource curse" in which the mishandling of opportunities undermined the economy. "There would never have been a 50 percent planned increase in government expenditure from 2013 to 2015 if this project wasn't in place and that has put massive strains on the economy.